A joint session of the state House and Senate during the governor's budget address. All together, there are 253 members of Pennsylvania's legislature--203 in the House, 50 in the Senate. The Wolf administration described corporate net income tax rate changes and “Delaware loophole” changes as part of a revenue neutral measure. Still, there is likely to be a disagreement on a number of the details. 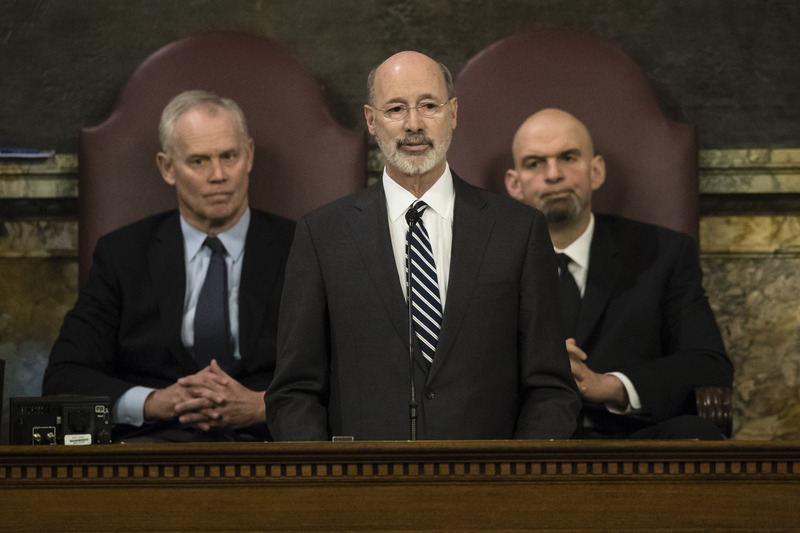 As part of the program, there will be one-time grants of $2,500 to people who are students or have graduated from a Pennsylvania community college and are currently working in the state. Senate President Pro Tempore Joe Scarnati, a Republican, raised concerns about spending.